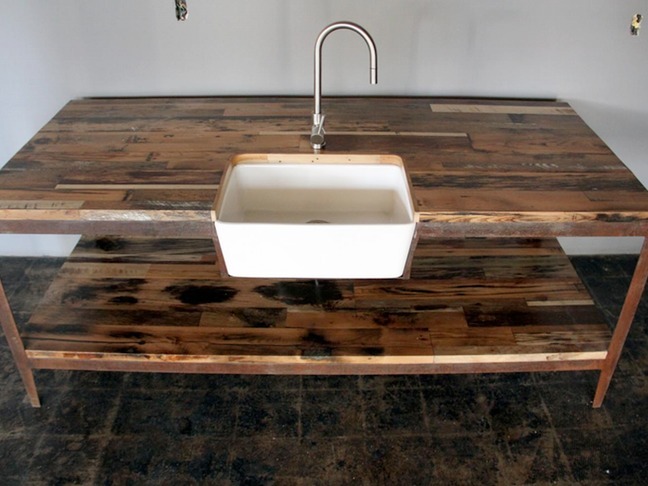 Los Angeles-based District Millworks creates custom furniture using reclaimed wood and well-worn metals. Each piece is unique and full of character. 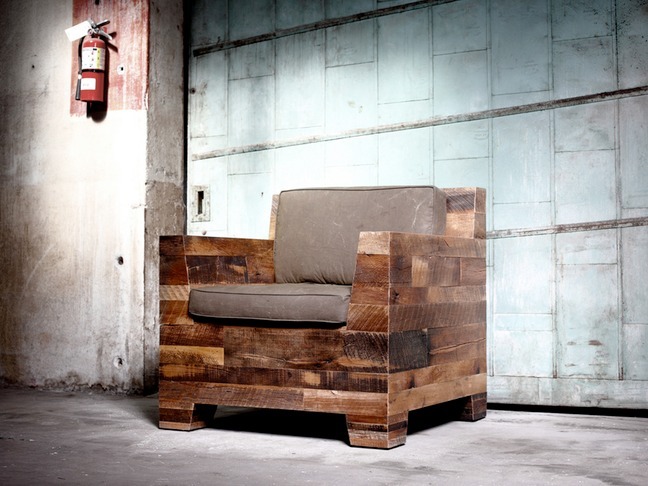 The lounge chair pictured above captures the essence of their work, made from barn siding and recycled military canvas. 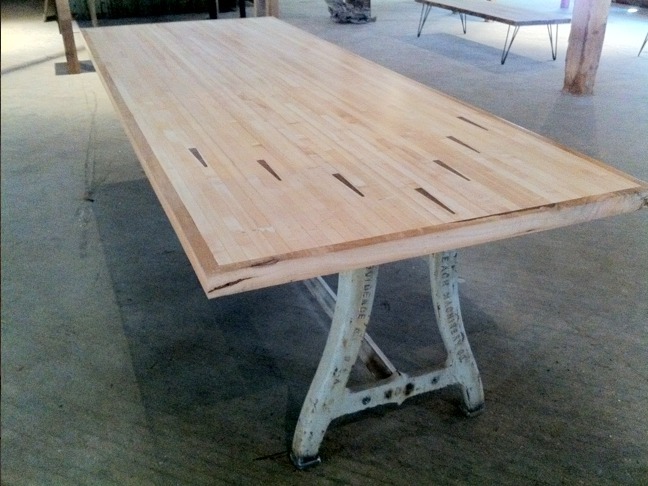 They created this Bowling Lane Table after salvaging a bowling alley full of lanes from Omaha, Nebraska. This kitchen island, created for a custom log home in New Mexico, was made using old barn siding. 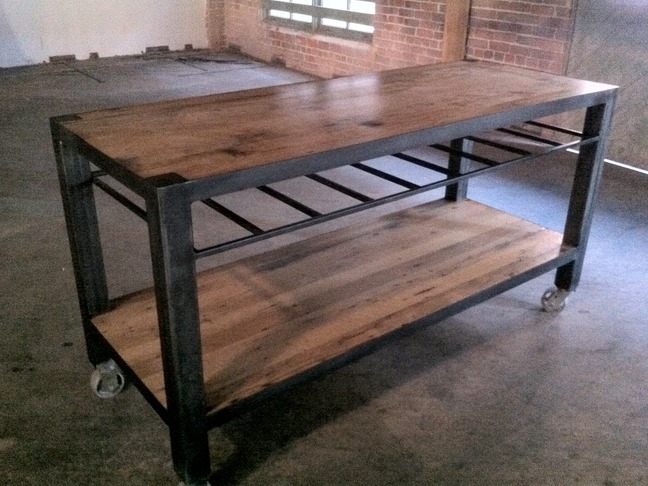 Another kitchen island, this one made from reclaimed oak with a steel base and casters. 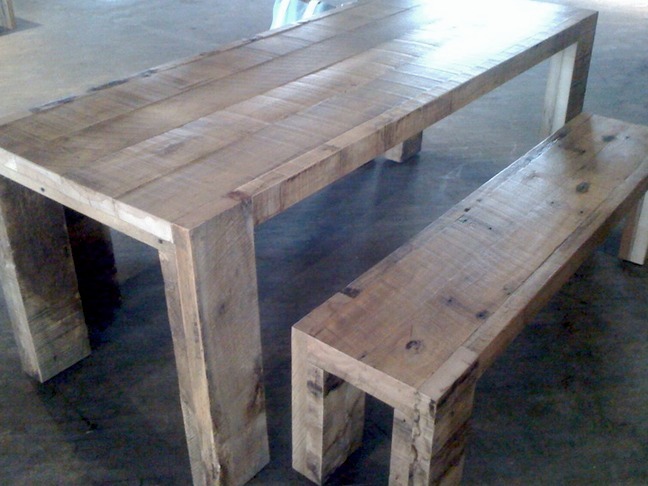 This gorgeous Whiskey Table and Bench is made from recycled Beechwood. Visit the District Millworks website for more information.